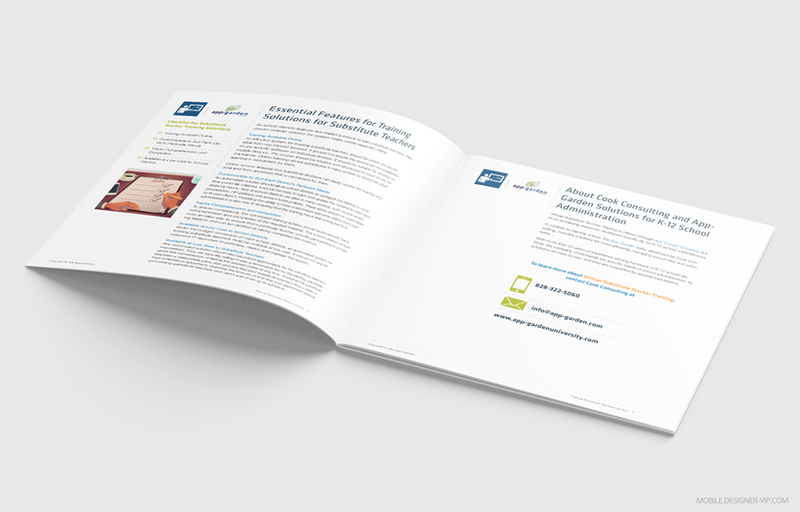 Education White paper for App-Garden University. We need to create white paper in Adobe InDesign. We need to have it a new paper with content already created formatted using this sample. An example of one of the completed papers is attached. The Blue icon should be used in place of the orange bus icon in this case. Use the our logo attached in place of the one in the sample. We may need to find some other graphics to explain the points in this content which are different from the sample. It looks good! We are reviewing and will have a list of minor changes (mostly wording changes after everyone here reviews). I will try to get those to you today so we can finish up! 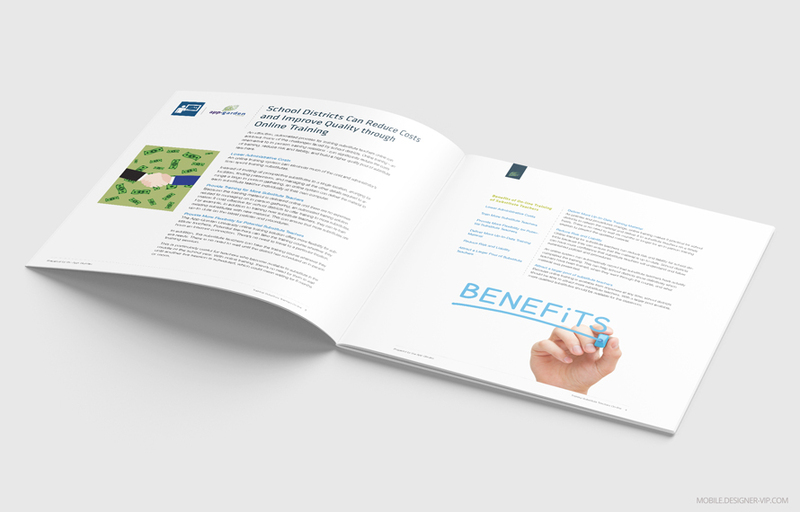 Created high quality white paper for a company with turn round – ~5 days. If you need design/layout paper for your company our studio can help. Substitute teachers are essential to keeping classrooms properly staffed and to cover the prescribed curriculum with students. Larger districts could require more than 500 substitute teachers, and even small districts could need as many as 200 substitute teachers over the course of a school year. To ensure that all substitute teachers understand certain basic policies and procedures, school districts are responsible for training them. Given the number of substitute teachers and the relatively high turnover, a school district could be responsible for training more than 100 new substitutes every year. This training requirement presents an expensive, on-going expense for school districts. Valuable time of administrators is required to manage the training. Moreover, inadequate training can expose the district to liability and hurt the quality of the substitute teacher pool. School districts incur substantial costs in managing in-person training sessions for substitute teachers. Administrators can spend hours handling all the arrangements for the training, including securing an appropriate training space, scheduling instructors, notifying prospective substitute teachers, and tracking attendance. Once the sessions are scheduled, administrators may spend several hours to prepare and deliver the material. The administrators must ensure that they cover all required topics – code of conduct, safety and medical procedures, HR policies, etc. – and that all the material is up-to-date and in compliance with current policy. Records must be kept to document that each substitute teacher has attended a training session and has been qualified by the school district. In the event of an incident involving the substitute teacher, this kind of information is essential. An administrator’s time would be required to accurately track and document this information. School districts that have not trained all the substitute teachers working in their schools could be exposed to liability in the event that there is a negative incident involving one of those substitute teachers. School districts must track and record key information to show that each substitute teacher actually attended the training session and that the material was accurate and up-to-date. Providing proof of what a substitute teacher was told during a live training session can be difficult and leads to potential liability for the district. Automating this training ensures that content is always delivered consistently and completely, reducing district liability. An inefficient process for training can significantly reduce the size and quality of the substitute teacher pool. If to keep costs low, the training sessions are offered only infrequently or in inconvenient locations, some number of well-qualified substitute teachers would be unavailable for training and therefore could not receive assignments. Potential substitute teachers may also look for alternative employment if training is not provided immediately. School administrators would then need to reach down further into the substitute teacher pool to fill open classroom assignments. An effective, automated process for training substitute teachers online can address many of the challenges faced by school districts. Online training – an alternative to in-person training sessions – can significantly reduce the costs of training, reduce risk and liability, and build a higher quality pool of substitute teachers. An online training system can eliminate much of the cost and administrator’s time spent training substitutes. Instead of inviting all prospective substitutes to a single location, arranging for facilities, finding presenters, and managing all the other details required to arrange a large in-person gathering, an online system can deliver the material to each substitute teacher individually at their own computer. 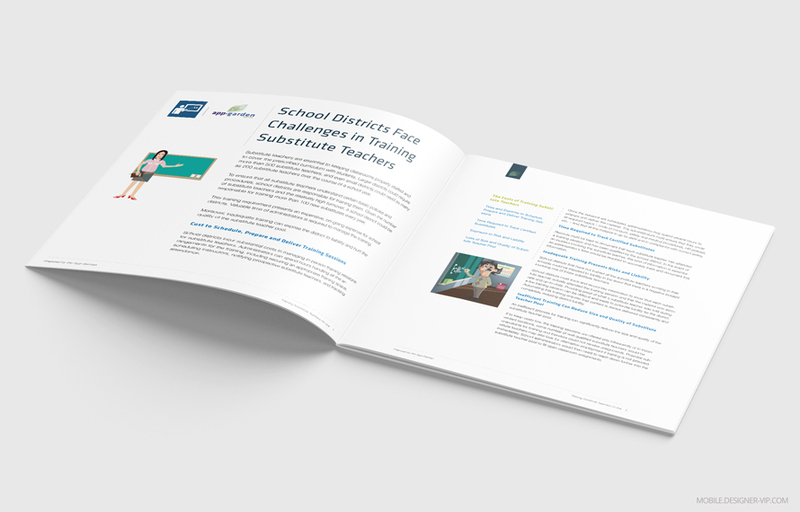 Because the training material is delivered online and there are no expenses related to managing an in-person gathering, an automated training solution makes it cost-effective for school districts to offer training to more substitutes. For example, in addition to training new substitute teachers, they can re-train existing substitutes with new material. This can ensure that more substitutes are up-to-date on the latest policies and procedures. Our University online training solution offers more flexibility for substitute teachers. Potential teachers can take the training course wherever they have an internet connection. There’s no need to travel to a particular location. In addition, the substitute teachers can take the training course whenever they are ready. There is no need to wait until the district has scheduled an in-person training session. This is particularly useful for teachers who become available to substitute in the middle of the school year. With online training, there’s no need for them to wait until another live session is scheduled, which could mean waiting for 6 months or more. As policies and procedures change, online training makes it practical for school districts to refresh the material and deliver it to substitute teachers on a timely basis. There is no need to wait six months or longer for an in-person training session to present the updated material. 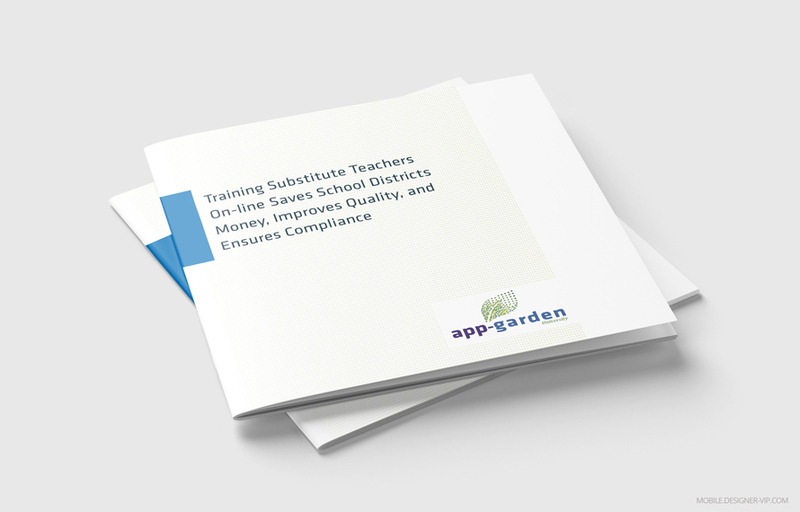 Online training for substitute teachers can reduce risk and liability for school districts because they can ensure that the material is up-to-date. School districts can have more confidence that substitute teachers will understand and follow established policies and procedures. An online system can automatically record that substitute teachers have actually completed the training. This can help school districts show definitively which teachers have been trained, when they went through the course, and what material was presented. Because online training is available from anywhere at any time, school districts should be able to attract more substitute teachers. With a larger pool available, more qualified substitutes should be available for the classroom. As school districts evaluate automated solutions to train substitute teachers, they should consider whether the system meets certain essential criteria. An effective system for training substitute teachers should be online and accessible from any internet browser. It should not require the download and installation of any specific software on individual devices. It should be suitable for viewing on mobile devices. The course should be intuitive and structured for ease of use for the learner. Online learning allows substitutes to have access to resources when learning is convenient for them. Online access ensures that substitute teachers can easily access the training anytime and from anywhere that is convenient for them. An automated solution should allow school districts to configure the training to cover their particular material. It should be easy to tailor and update the material to meet each district’s needs. Not all school districts are alike in many aspects, such as lock-down procedures, HR policies and school nurse policies. These areas should be customized to fit your district. Providing the ability to have customized welcome videos from your administration is also key to ensuring that the training has a welcoming feel to it. To ensure compliance, the automated training system should automatically track comprehension and completion of the required material. The school district should have an easy way to ensure that a particular teacher actually participated in a training session and can be certified as having completed the material. Given the budget constraints of most school districts, an automated system for training substitute teachers must be available at low cost. It should not require extensive IT resources to purchase, deploy and maintain the system. Any automated solution should also be priced appropriately for the substitute teachers themselves. They are typically willing to pay a reasonable fee for the training, especially given the convenience of taking the session online at any time. Charging the substitute teachers a reasonable price also ensures that your substitute teachers have a stake in their potential employment, reducing the amount of time that your department spends processing substitute teachers who don’t ever show up to substitute. Developed by our company, an expert in technology solutions for K-12 school administrators, the Virtual Substitute Teacher Training system allows school districts to more efficiently train substitute teachers. The result is lower costs, reduced risk and liability, and a larger pool of substitute teachers. The system lets each school district deliver training material that is tailored to meet their specific requirements. The material can also be updated and delivered cost-effectively. Substitute teachers can access the Virtual Substitute Teacher Training material and complete the requirements online at anytime. They do not need to wait until in-person courses are scheduled by the school district. Courses are accessible via any internet browser via any device. No special software is required. The system automatically tracks substitute teachers’ registration, attendance, and completion of required courses. The system is available at no cost to school districts if you decide to allow the substitute teachers to pay for their own training.